Drumcode is the long running and highly influential Techno label of Swedish Techno producer and DJ Adam Beyer. Originally Drumcode built its reputation on a music policy of Hard, Tribal Techno - like that of Beyer’s own musical style – but now incorporates a wider selection of Techno styles. Click here to view the TuneAttic Drumcode label profile. Cocoon Recordings is a German Techno / Tech-House record label run by influential German Techno DJ and producer Sven Väth. Known for its long running Ibizia residency the label is home to high profile Minimal and Tech-House artists such as Loco Dice. Click here to view the TuneAttic Cocoon Recordings label profile. Soma Quality Recordings is the long running, highly influential Techno label of Scottish Techno pioneers Slam. Soma is home to many leading Techno producers, typically with a harder edged sound. 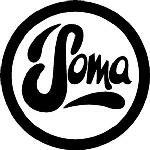 Click here to view the TuneAttic Soma Quality Recordings label profile.